Published by Robert Hale in 1985 and in large print by Magna in 2008. A Georgian romp. 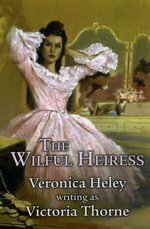 Heroine may be an heiress but she is no fool … and teh villain’s pursuit of her is foiled by a man of inferior status – or is he?